Dr. Zipkin, BIE D.D.S. M.S. First Visit is FREE - Click Here for details! At your first visit to our office, we'll get to know each other. We'll listen to your concerns and do an oral and facial examination. Through his 35 years of experience, Dr. Zipkin knows and will explain what is good what is not, and the overall situation you will experience from treatment. He will answer your questions and relate methods that will be helpful, and advise you if this is the 'right' time to start treatment. This short visit is FREE of charge. Often, pinpointing the problems is self-evident, but best methods to correcting them is not. Dr. Zipkin will advise you if special diagnostic X-Rays, models and photographs are required for a thorough evaluation and resulting treatment plan. After evaluation, we'll discuss treatment options, and fees. Our office staff will help you with insurance submission, payment options and any other questions you may have. We have several payment plans from which you can choose. Orthodontic treatment can be successful at any age, and adults especially appreciate the benefits of a beautiful smile. One of every three patients in orthodontic treatment in our office is over 21. Adults also may have experienced some breakdown or loss of their teeth and bone that supports the teeth, and may require periodontal treatment before, during and/or after orthodontic treatment. Bone loss can also limit the amount and direction of tooth movement that is advisable. The good news is that after teeth are moved to a more comfortable and physiologic position, many existing problems may be halted and even reversed. 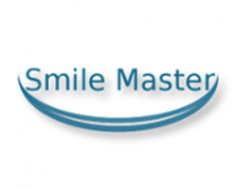 Here at Smile Master, we adhere to the most current privacy standards in the health care industry. We never discuss your or your family's records or health concerns with anyone or any organization unless explicit permission is given. We do, however, coordinate and cooperate with other doctors and insurance companies for your best interest.